His experience includes serving as a director at the Fraser Institute, a right-wing think tank whose experts question the science of climate change. 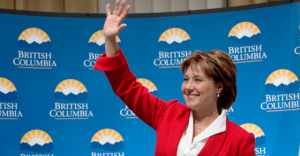 After spending months ignoring the recommendations put forward by British Columbia’s Climate Leadership team, Premier Christy Clark has finally found someone to take charge of this very important file. Bad news? His experience includes serving as a director at the Fraser Institute, a right-wing think tank whose experts question the science of climate change. Since it’s difficult and costly to impose tariff barriers because of the rules-based trade system in existence today, Western politicians have now grabbed the global warming club to beat up the developing world. By using this moral high ground — ‘saving the planet’ — they can claim that they are just trying to do the right thing and that it has nothing to do with erecting barriers to trade and maintaining their economic power. Then again, the old colonialists justified their racist behaviour by arguing that they were just trying to ‘civilize’ the savages. While serving as editor of the Vancouver Sun’s editorial page, the Sun published an editorial that argued BC high school teachers should “not preach to students about the consequences of climate change” and suggested schools that show Al Gore’s Inconvenient Truth should also show a documentary titled “The Great Global Warming Swindle” to balance things out. Will BC’s climate change plan finally answer these questions? Or did Mihlar have a change of heart about his views on climate change? Professional Educators Don’t Take the Fraser Institute’s School Rankings Seriously. Neither Should You. How democratic is Canada's appointed Senate? 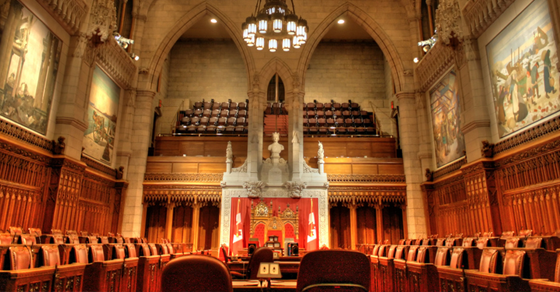 How democratic is Canada’s appointed Senate?